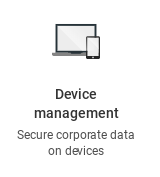 A useful feature of Chrome Device Management is the ability to pre-configure networks on Chrome devices. 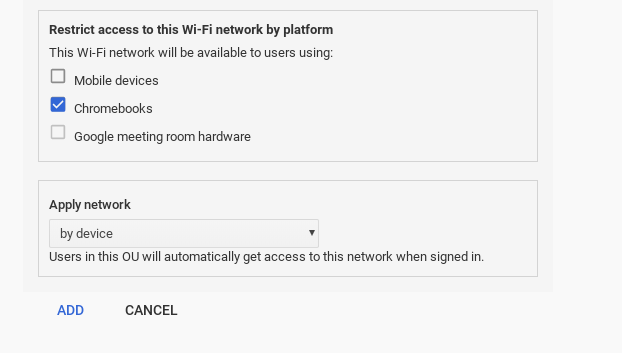 Under the Device Settings column on the left side of the screen, click Network. Fill in your network’s information. 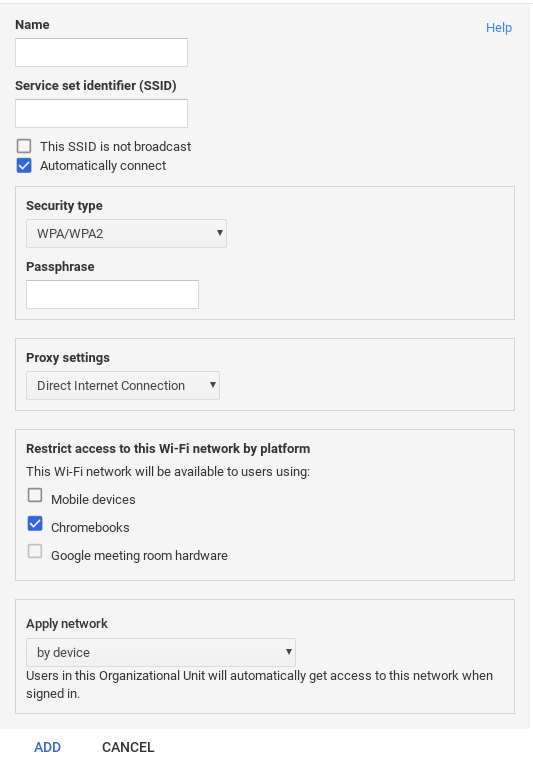 Give the connection a name, set the SSID, Security Type and Passphrase to match your network settings. If applicable, fill out the proxy setting fields.